As you know, rubber is a key component of tires. What you may not know, however, is that there are two kinds of rubber used by tire manufacturers. The first is natural rubber, which is made from the latex harvested from tropical rubber trees. This natural rubber makes up about 30% of today’s tires. The second is synthetic rubber, a type of rubber that is made from petroleum. 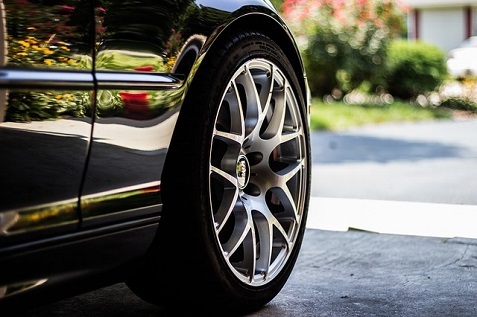 Synthetic rubber makes up about 70% of the rubber in your average tire. Pretty simple, except one type of rubber can be problematic to source. Natural rubber is a weak point in the supply chain. This is because the supply varies tremendously with difficult to control things like weather, temperature and water supply. And because of global warming, there have been a lot of changes in these factors. The result is that during some seasons, the latex yield is strong, and in others, it is weak. And these fluctuations in supply makes the production of tires difficult to control. Continental, a large German tire manufacturing company, decided it was time to look for alternatives to rubber tree latex. Fortunately, rubber trees are not the only source of natural latex, so the search was on. Eventually, they came up with an easy to grow alternative: dandelions. As it turns out, the milky fluid that comes out of dandelions is a latex that is similar to rubber tree latex. This was good news for Continental, because they are an easy to grow plant that can be cultivated on land not suitable for other crops. This means that dandelion latex plants could be grown on land not far from production plants. This allows better control of the growing process and it eliminates the long and costly journey to South America or West Africa. According to Len Stoler Porsche of Ownings Mills, a local Porsche dealer in Ownings Mills, MD, technically, the rubber that is produced from the dandelion root is called Taraxagum by Continental. The name comes from the botanical name for the dandelion: Taraxacum. Especially good news is that not only is Taraxagum a nice alternative to rubber tree compounds, it is higher yielding. Continental was able to extract several kilos of dandelion latex from a small pilot system. But how does it perform? The initial tests run so far with Taraxagum are encouraging. Tires made from the substance perform closely to those made from conventional natural rubber. The scientists at Continental are excited about this, but challenges exist in the cultivation of enough dandelions to make industrial-scale production possible. Porsche dealers like Len Stoler are especially excited because tires made from a plant alternative, like dandelions, is ecologically friendly. You could say that Porsche tires are literally made from weeds.